Here’s a car that’s at home on the range, and thankfully, isn’t an SUV. 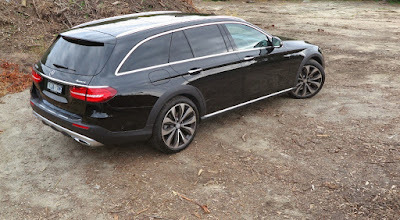 This E220d All-Terrain is the only large wagon in the Benz model lineup in Australia, but it is Stuttgart’s very stylish solution for people who don’t want an SUV, and comes with AWD. The mechanicals are a mixed bag of okay and not so good; but overall it works. Weighing in at an ‘almost SUV-like’ 1980kg (4365 lbs), the 2.0L turbo diesel is a four cylinder and punches out a measly 143kW (192hp); but does produce 400Nm (295 lbs ft) of torque. The troublesome power-to-weight ratio problem is somewhat alleviated by the Benz’s excellent 9-speed automatic. However, on the road, this is a sweet car to drive. The precise, but well-weighted steering is exceptional. The air suspension produces an excellent ride, on 20 inch wheels, and also makes sense of the wagon’s off-road pretensions. 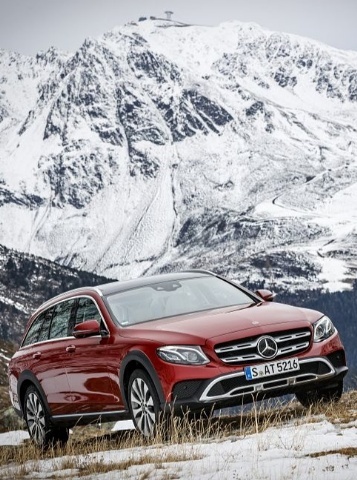 Although the All-Terrain sits 15mm higher than the equivalent sedan, the wagon’s ride height can be increased a further 20mm (at less than 35 km/h), to provide more ground clearance if you are tackling a bush track. 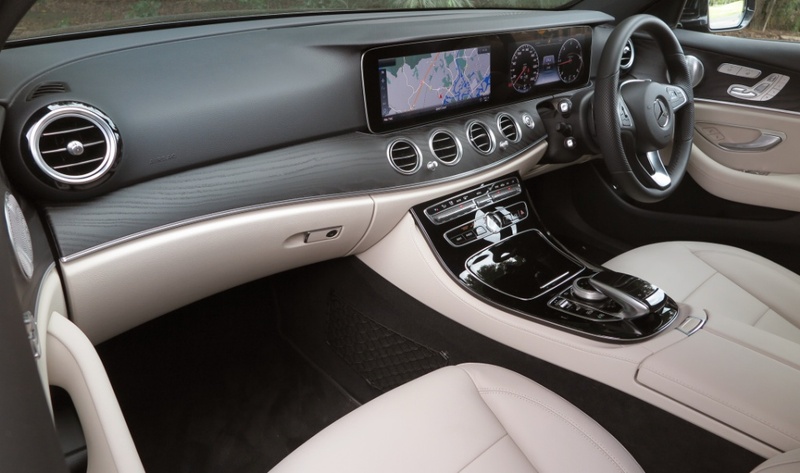 Inside the designers have made a far better job of styling the instrument panel, with a much more cohesive inclusion of the touchscreen. It certainly looks better than having a ‘tablet’ sitting up in the fresh air above the dash. But, and there’s always a ‘but’, all this magnificence comes at a price. Yes, if you want the wagon in the photos, you’ll pay for it. 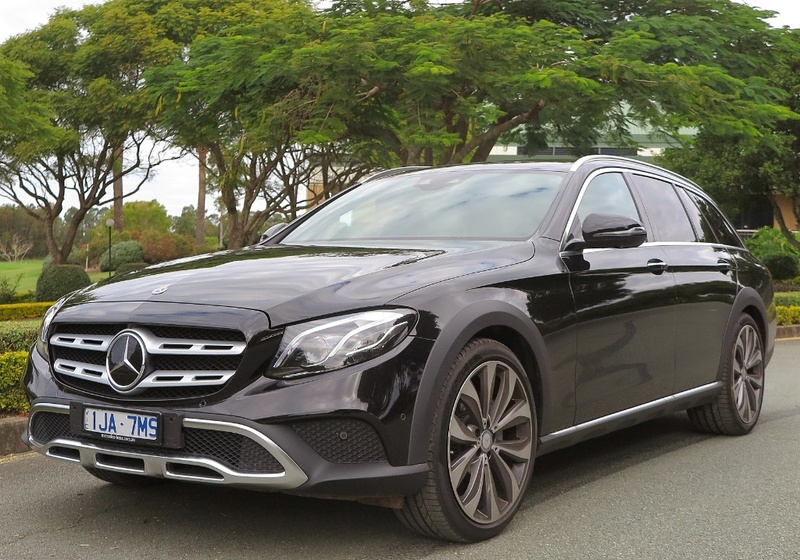 First, it’s AUD$110,000 plus on-road costs. 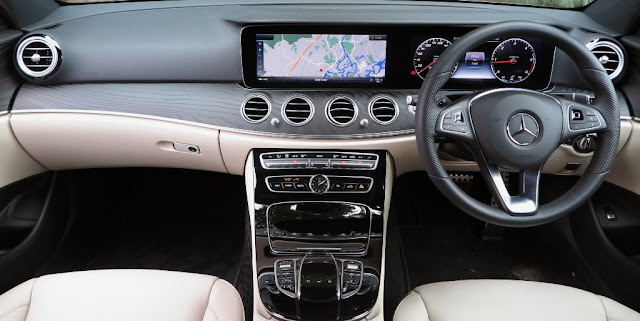 Then, if you want the Heads-Up display, you’ll pay another AUD$5000 , because it comes packaged with a panoramic sunroof, and the outstanding Burmester Premium sound system. The pricetag does include some extra tech, which may or may not be your style. You get Auto-Park assist, with an all-round rear view camera; a Lane Keeper operating with the Active Cruise Control; a High Beam setting, which automatically lops off part of the beam when vehicles approach, and digital radio plus Apple CarPlay and Android Auto. Because of its size, the rear compartment with seats folded, will accept as much as an average large SUV, and the rear tailgate can be operated by swiping a foot under the rear bumper. If you’re planning to head for the snowfields however (which require mandatory snowchains in Australia); then you’ll need to ask for the no-cost optional 19 inch wheels to fit them. In my book, this wagon is the best of all worlds. It’s good to look at, practical, well-equipped, drives beautifully and returns very impressive fuel economy for such a big boy, mainly because peak torque occurs from 1600rpm. 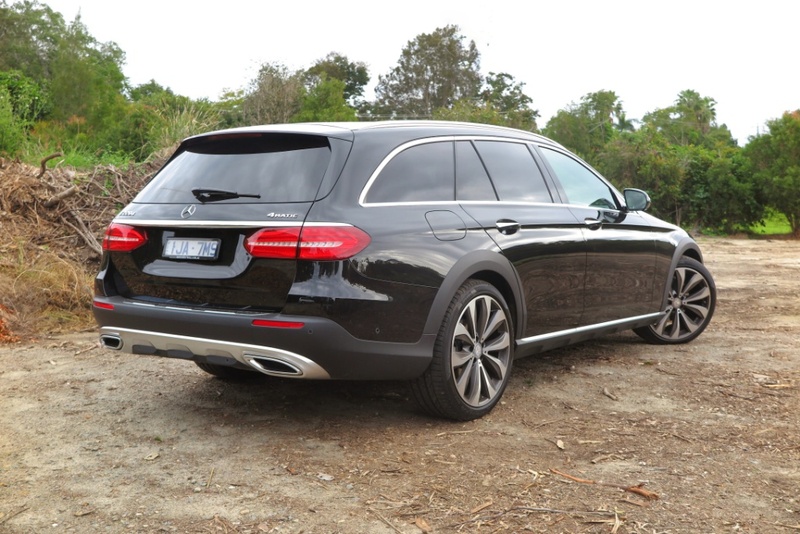 This may be Benz’s only wagon available in Australia, but for its purposeful stance, comfort and driving pleasure it’s a winner.